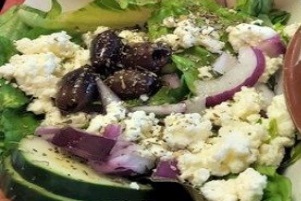 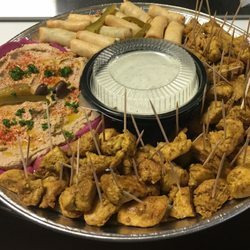 We offer a variety of fresh starters/sides such as: veggie Spring Roll, Hummus, Grape Leaves. 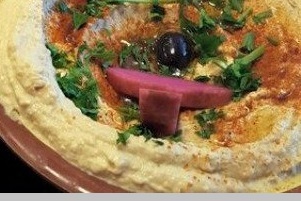 Enjoy Authentic Middle Eastern Cuisine served with 2 slices of freshly baked Tandoor or Pita bread. 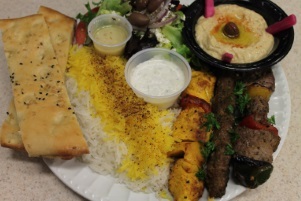 We offer a large selection of grilled catered dinner and lunch baskets with vegetarian options.